This Planet Rocks! An Introduction to Crystals Workshop. To book please go to my Facebook page. This Planet Rocks! An Introduction to Crystals Workshop. The workshop will give an insight into the fascinating world of crystals. It will give a step by step guide on how to work with crystals confidently. A variety of exercises will give the opportunity to explore crystalline natural healing energy on physical and emotional levels. It will be a fun interactive day as well as providing you with the techniques to enable you to create a crystal grid for well-being purposes. 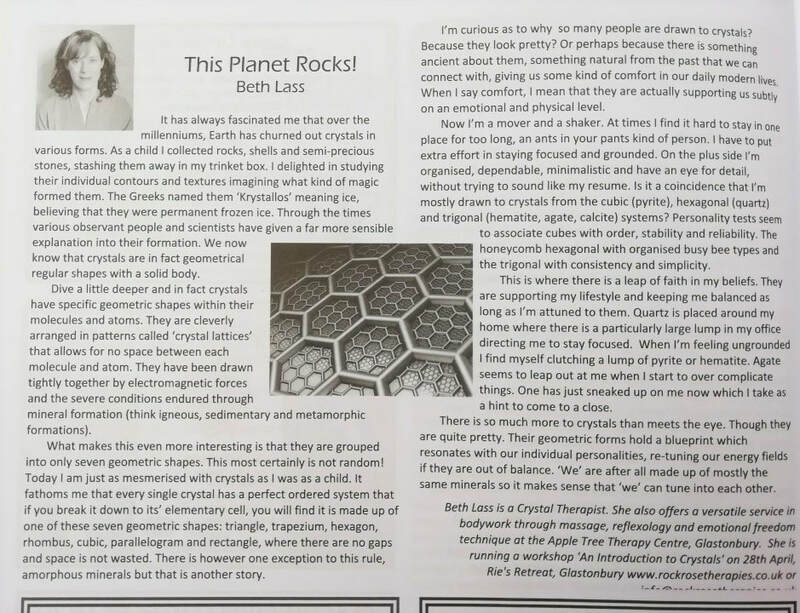 Beth Lass is a qualified ACHO Crystal Therapist. 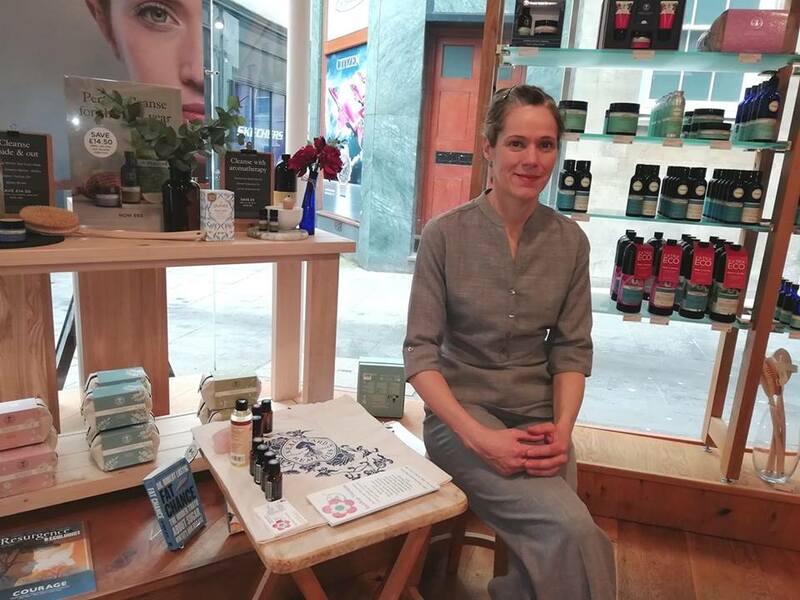 This February I have started to work in the Therapy Rooms at Neal's Yard Bath. I can be found there every Tuesday, 9.30-1.30am. 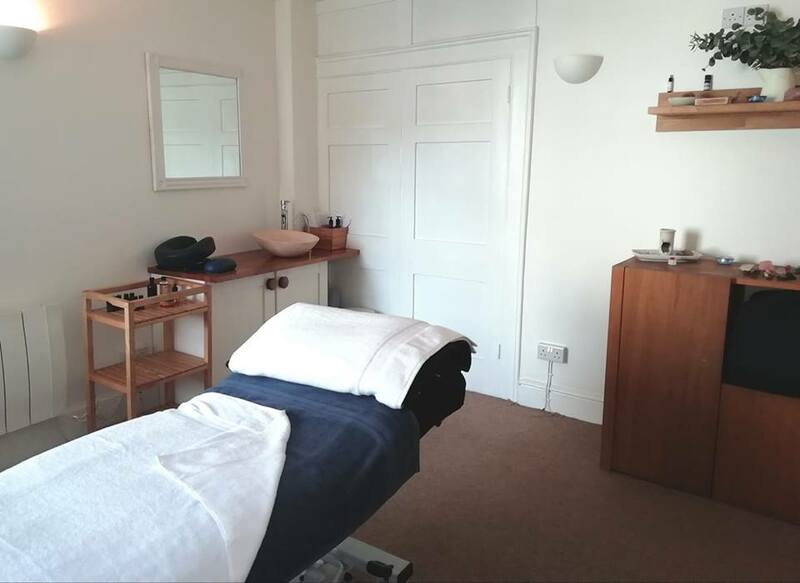 Lovely therapy rooms and helpful staff, I'm delighted to be a part of their professional team. Also, it smells divine! I spent the Solstice demonstrating an Indian head massage at the Nunney & District W.I. A lovely group of ladies who warmly welcomed me and showed great interest in the massage. January has certainly been a busy month! Clients have bought their loved ones Christmas gift vouchers in the treatments I give. 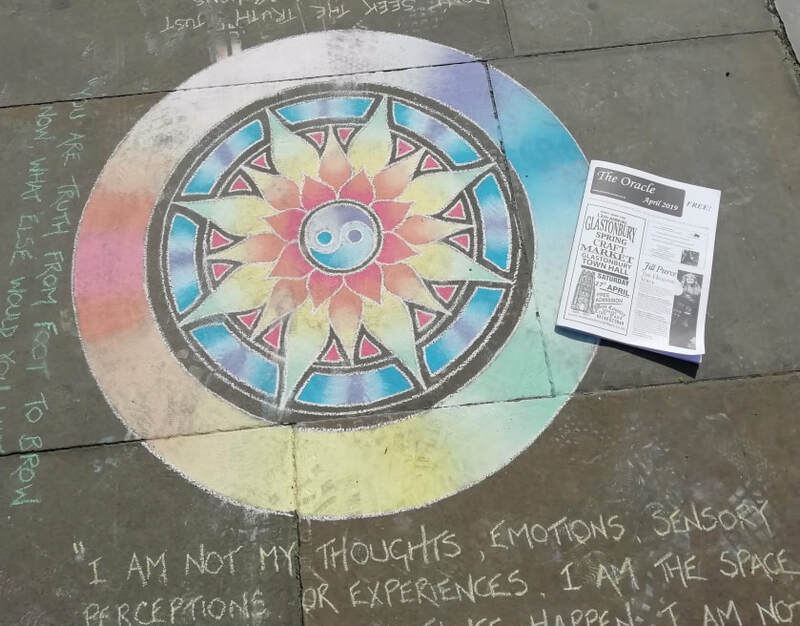 It has been a great way for people who are not familiar with holistic therapies to enjoy a relaxing experience and learn about their benefits. 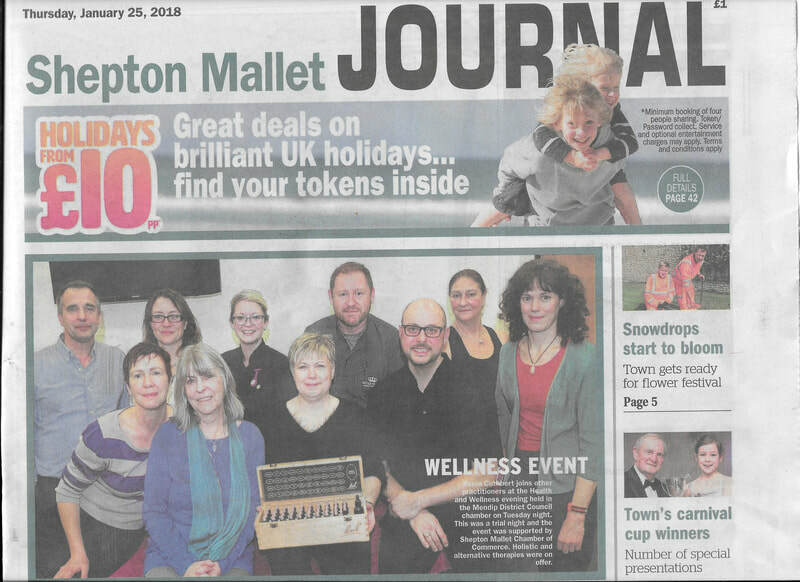 The Council Chambers Shepton Mallet held a free 'Wellness January MOT' event last week which I had the pleasure of being a part of. Therapists from around the Shepton Mallet area were invited to give a talk about the therapy they offered, mine being reflexology. 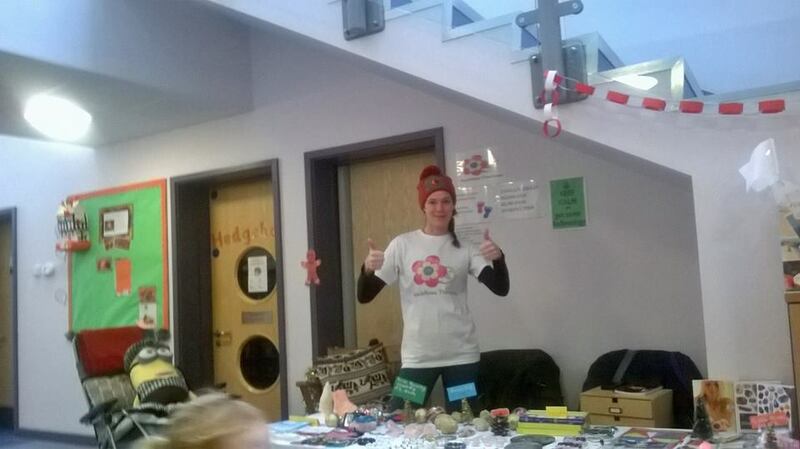 It was a superb opportunity for people who knew nothing about certain treatments. It enabled them to ask us questions and experience a short treatment. Holistic therapies are becoming more popular as people are finding them beneficial in todays stressful busy environment. This event highlights that what we do is beneficial for the wellness of our being. 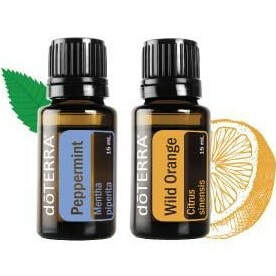 You will receive free samples and a free Wellness Consultation. Moving to east Somerset has been incredible, wonderful and a dream come true! Talk about the glove fitting. For a long time I have wanted to be in this part of England but the timing and circumstances weren't right. I understand now for all the right reasons. We have been here for 8 months and have met lovely people, people who we connect with on many levels. I've kick started RockRose Therapies once again but this time it feels different and I mean in an energetic sense. Things resonate more with me here. 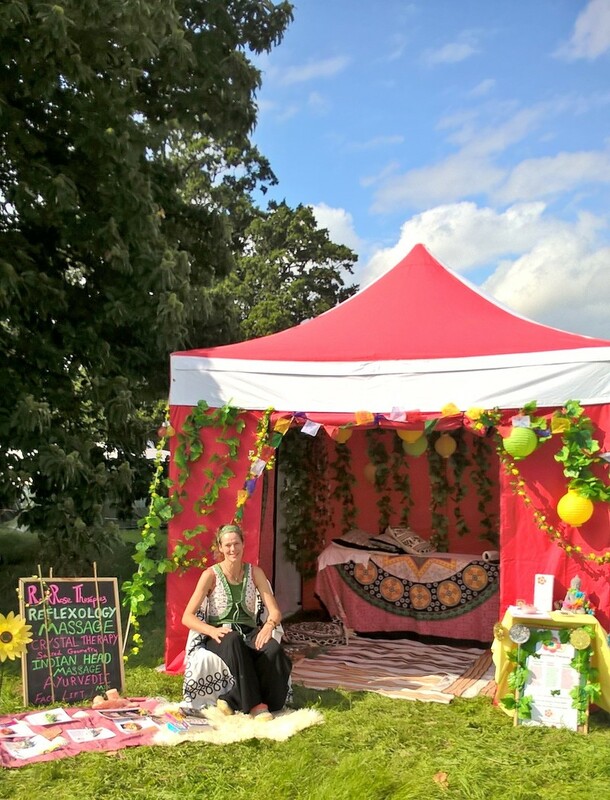 I'm sharing some photos of some recent happy memories with my new funky gazebo representing RockRose Therapies at festivals and fayres....there is more to come this summer! ​ ​My son and I have just come back from camping in the woods for three days. Nature is a wonderful therapy! I feel energised and full of happiness. This little trip has reminded myself to slow down a tad and block out the humdrum of every day living. We got to listen to the soothing rain tapping on our tent. Smelt the damp earth in the mornings. Ziggy found the fattest, funkiest leopard slug ever! As well as deer, rabbits, butterflies and beetles. The full moon shone as we played sword fights with our sticks, running across the fields. We made fires which empowered him with great responsibility, popping the logs on and stoking it. Oh I love this time of year! ​It's so easy getting caught up in the notions of everyday life. Sitting there in the woods reminded me of how simple life can be. Instead of surrounding ourselves with so much stuff, keeping ourselves unnecessarily busy with distractions. ​I always advise my clients after a treatment to go for a quiet walk in the nature if they can. As humans it's the most natural thing we can do to rebalance ourselves and reconnect with the source. It's been a while since I've camped in the woods and I can feel the difference energetically within. We're already planning our next trip! This December I have had the pleasure being a part of the festivities at Powell Corderoy School, Dorking and Leatherhead Trinity school. Children were very keen to have a look at the fossils and crystals I presented. 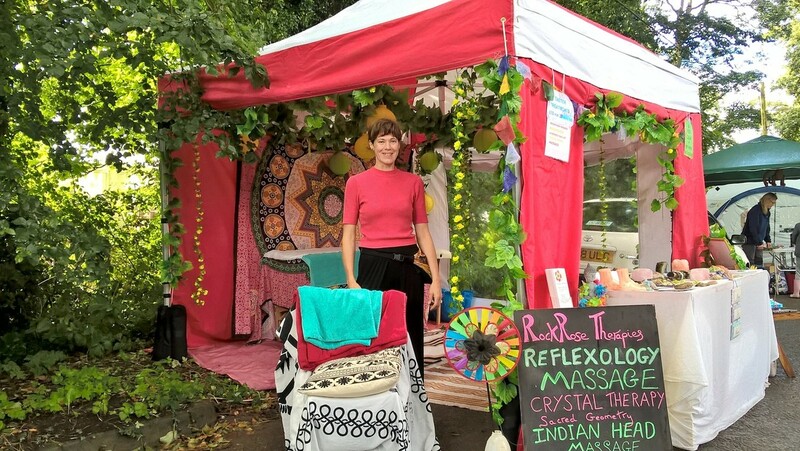 It was a lovely opportunity to talk about the benefits of RockRose Therapies. 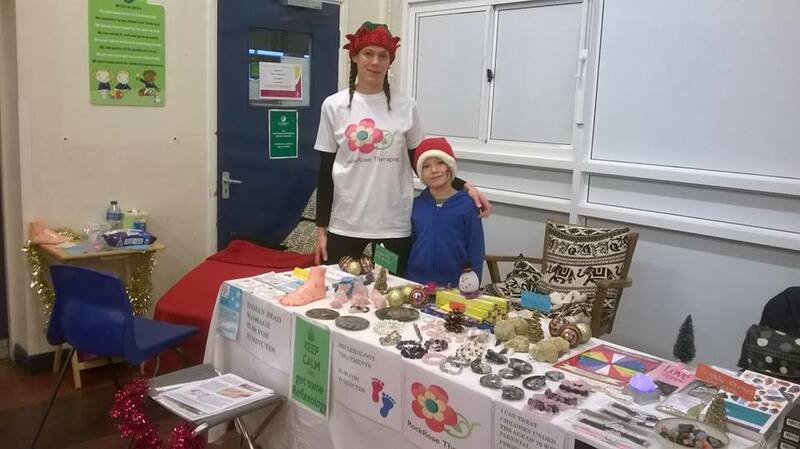 I enjoyed giving reflexology treatments and Indian head massages to stressed parents and teachers! I believe that Valentine's day reaches further than telling a loved one how much you appreciate them. It is also a day to celebrate your own self worth, family, friends and send healing love out to the world. I've selected three of my lovely crystals and given my interpretation about their healing energies. OPALITE assists in verbalising deeper hidden feelings. It stimulates sexual prowess and boosts the libido. This iridescent crystal works on unblocking all of the chakras. CHRYSOPRASE alleviates anxiety and depression therefore helping to heal the heart chakra, promoting joy and happiness. It enhances and strengthens friendships supporting unconditional love. This vibrant green crystal reaches out altruistically supporting global issues for the greater good. ROSE QUARTZ offers inner peace, promotes forgiveness and assists in releasing repressed hurts. 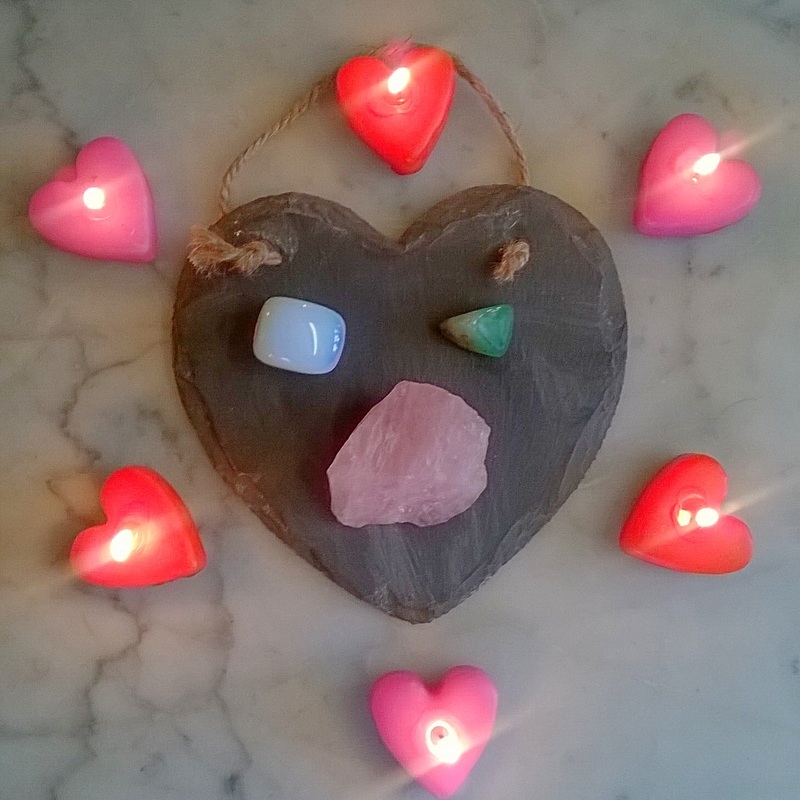 This gentle nurturing crystal encourages self love working on the heart chakra. If you have a moment and are the keeper of any crystals that you feel support unconditional love, take a moment, light a candle and hold the crystal. Relax and tune into it. The journey is yours to enjoy!